Spaces you can grow into. 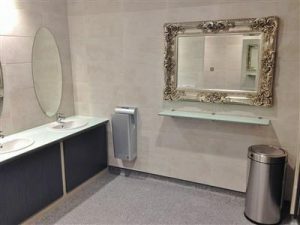 Acorn Works are specialists in commercial interior and office refurbishments, covering Norfolk, Suffolk and Cambridgeshire as well as further afield. 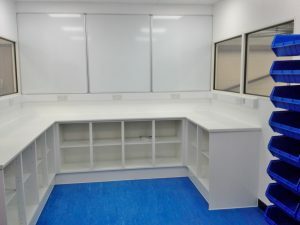 From complete turnkey office fitout projects to furniture, seating, office partitioning and glass walls as well as factory refurbishment, washrooms, cleanrooms, racking and storage solutions. Standard or custom-made. If you can imagine it, we can build it. At Acorn, the person that first deals with your enquiry will be the person that delivers your project. We can look after planning, building control, environmental and CDM issues. So while you get on and run your business, we will take care of the rest. 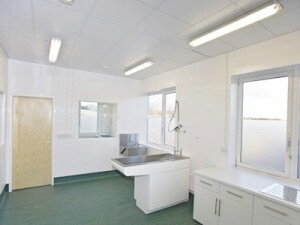 We can install energy efficient solutions to both refurbished and new offices. We have always sought to introduce heat and energy saving options above the legal requirements. In particular air sourced heat pumps, LED lighting and insulation. Where others shy away, Acorn has the experience to tackle the more unusual enquiries. We’ve excavated out under an occupied factory to create a new storage facility and repaired and modernised flood damaged Grade II listed buildings. 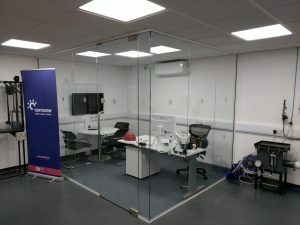 We recently completed a full workshop refurbishment, including suspended ceilings, for this Thetford based manufacturer. 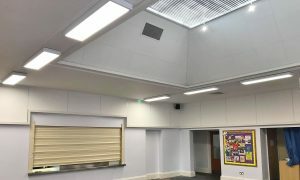 Town Close School, Norwich commissioned us to assist, advise and improve the acoustic properties of their main hall. 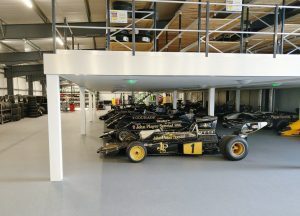 We recently had the pleasure of working with Classic Team Lotus at the original Team Lotus factory facility in Hethel, Norfolk. "It has been a pleasure working with you and the Acorn team and hopefully the relationship will be able to go on." 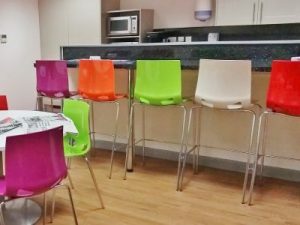 "We needed more desks to be able to expand the office and felt it was time to spruce things up a bit. 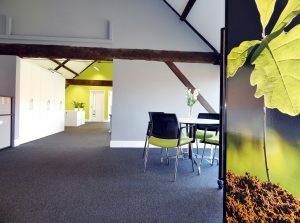 [Acorn Works] finished last week and we've now moved back into the office space upstairs. We all now have a desk each! There's plenty of storage, new carpets and a splash of colour on the walls. 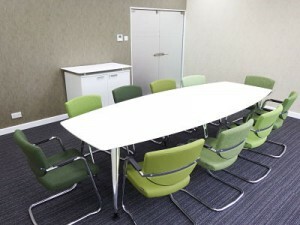 Acorn Works did a fantastic job with the space being stripped, painted and refitted in a week." "Our time spent working alongside Acorn Works has been enjoyable, we feel we have built a solid relationship between our businesses and would not hesitate to recommend Acorn Works to anyone looking for a high quality, knowledgeable and professional works company."